From the most popular remixes to the most underground of tracks, looping is essential in any electronic music. 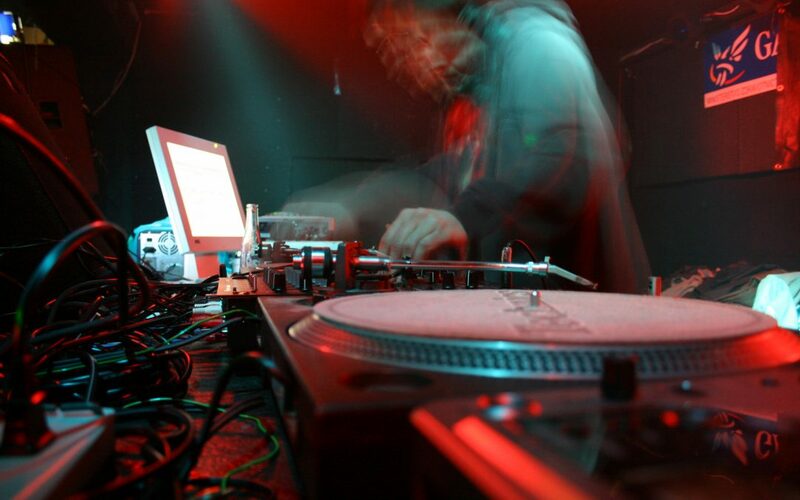 DJ loops are the key to smooth transition and great moments of suspense in any DJ set that strives to shoulder its way through the countless DJ sessions out there. future.dj pro has 2 loop panels that bring different levels of control to the DJ. The first panel, as seen in the picture below, has the main loop controls. Start creating a loop by pressing Loop In/Out. One press marks your loop start point. A second press of the button closes the loop. Pressing the button further will make the loop smaller. …make loops your inexhaustible source of samples with the Send Loop feature. Press it and assign it to any of the 8 advanced sample banks. The second panel has a more direct approach to creating loops. There are instant loop pads that range from 1/16 of a beat to 16 beats. 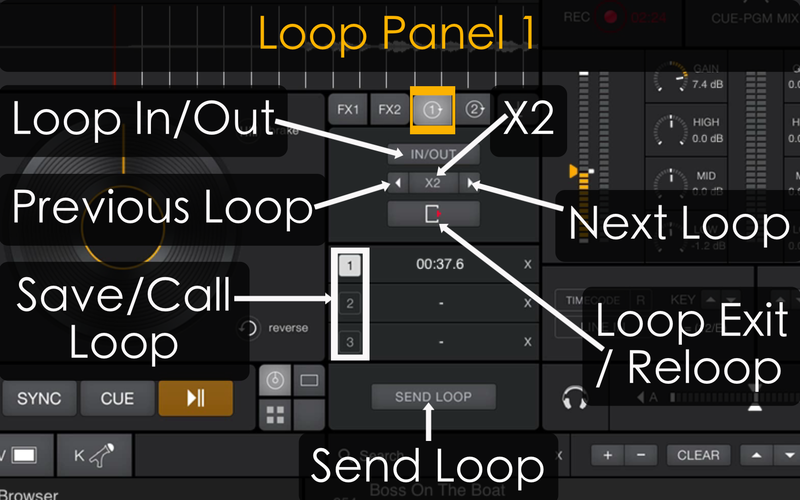 This second DJ loops tab is also dotted with Loop Less and Loop More buttons, as well as move left/right arrows present in the first loop panel. 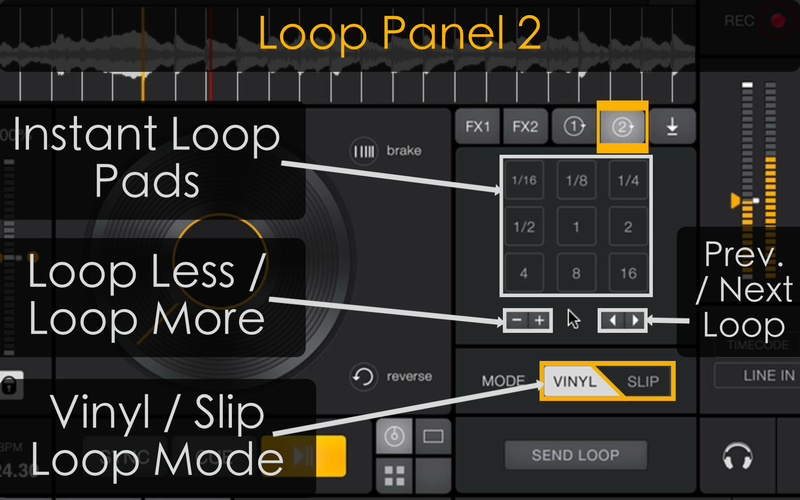 Moving on to the 2 loop modes, vinyl and slip, this feature can have amazing results in the right hands, but no matter the hands, connecting a MIDI controller will give you a more hands-on and fun approach to controlling loops. Vinyl is the default loop mode which resumes the audio or video playback from the loop’s end point. When engaging slip mode, future.dj pro maintains the realtime play position of the audio as if you had never created the loop in the first place. In other words, if you were to create a loop of 8 beats and loop it once, while the loop is playing, you won’t hear the song progressing through “9, 10, 11, 12”, and when you exit the loop, the next thing you hear are the “13, 14, 15 and 16th” beats and so on. Take your time and practice exiting slip mode loops and the results may amaze you and more importantly, your fans.